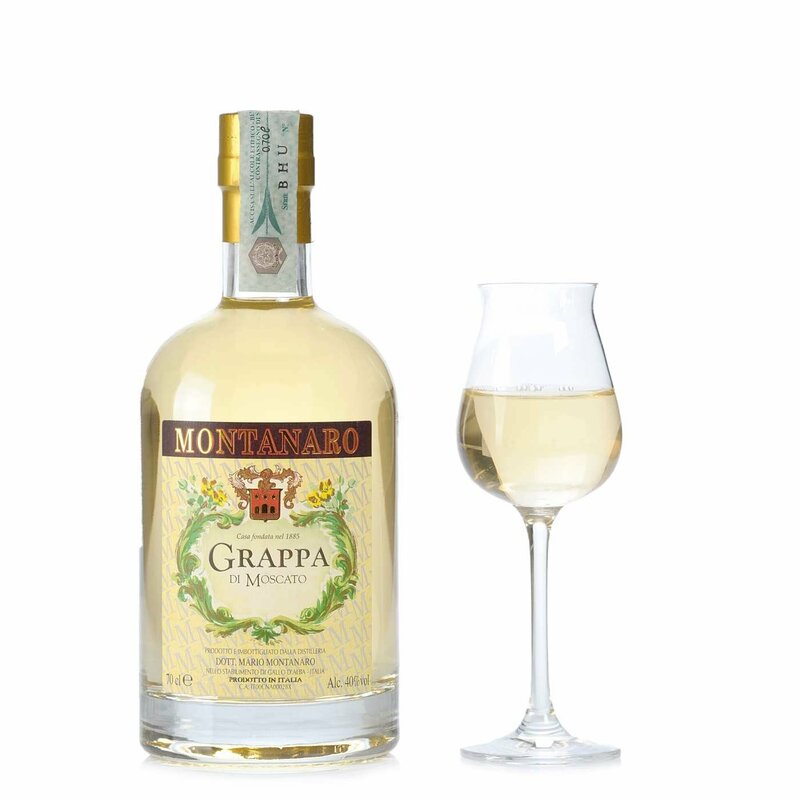 The Moscato "nocturne" grappa is a matured grappa made from pure muscat grape marc. It offers a vivid straw-yellow colour, typical decisive Moscato fragrance, smooth taste. Alcohol 40% Vol.